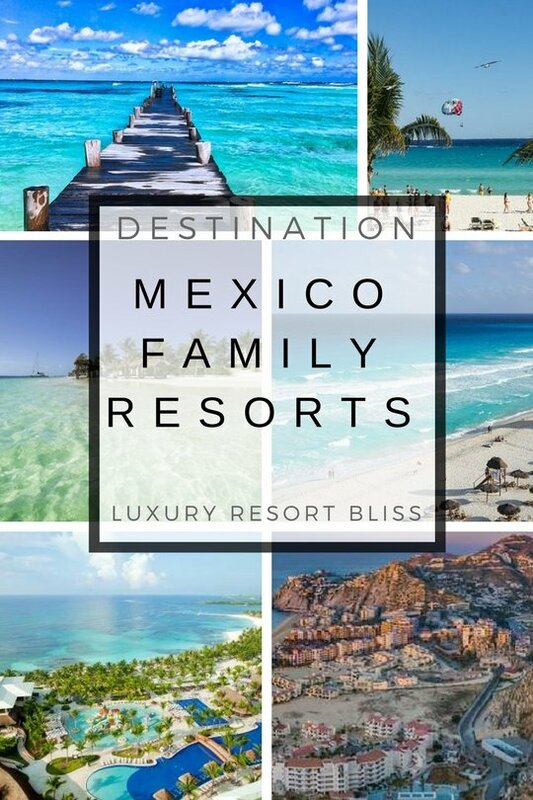 Looking for a great Mexico family resort? 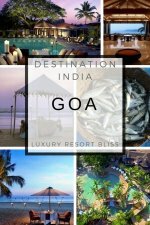 The resorts listed here are the best according to our research and the families who have experienced them. If you know of a great resort for families, please suggest it for others to enjoy. On top of being a top class resort Dreams really dishes it up well for kids with a dedicated kids club open from from 9am until 10 pm. Children from three to twelve enjoy a fully supervised program with a focus on nature, science and exploring. This even includes a camping expedition once a week. Other activities include craft, games, sandcastles, video games, cooking lessons. trampoline, and beach movies. 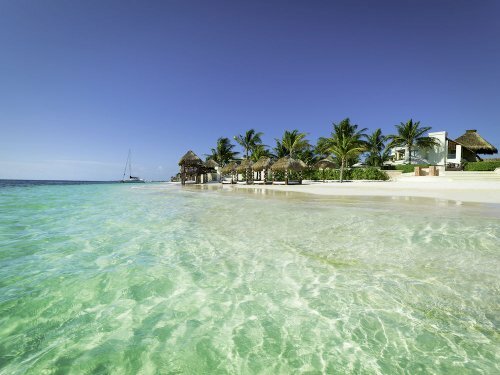 Azul is our top choice for a Mexico family resort vacation. Apart from being an exceptional resort for adults, the resort has gone all out to make sure the incredible experience are replicated for children with facilities for all ages and interests. In addition to a play gym complete with ropes, parallel bars, and a trampoline. 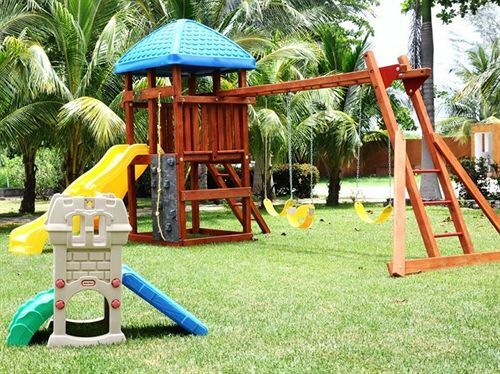 Azul have also teamed up with Fisher-Price®, to make a dedicated play area for young kids up to 5 years old. Designed to enhance early childhood development kids can also sing, listen to stories and join in on playgroups. When they finish, they can then make their way over to the Arts & Crafts Room or a host of other rooms which create a vacation experience for the kids which parallels the amazing adults play world they have created. There's more to do! The beach equipment and pools are great. For teenagers, a teens computers room, a fire pit, pool table, outdoor movies and entertainment keep the teens club hip and alive. More information and offers on Azul Sensatori Hotel, by Karisma. 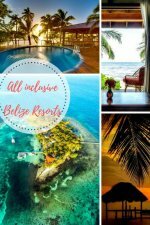 The Riviera Maya South of Cancun on the Caribbean side of the peninsular including Cozumel is an ideal area for family vacations on sun drenched beaches, snorkelling and outstanding resorts. 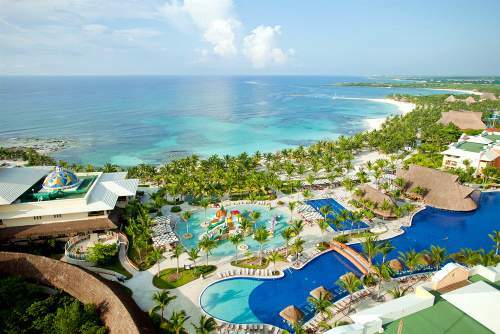 A great resort on the Mayan Riviera with excellent reviews and a ton a amenities to choose from. Experience the best interactive experience with dolphins in the new Dolphinaris at Barceló, located opposite the beach and surrounded by beautiful tropical landscapes. The enclosure is certified by the European Association for Aquatic Mammals . The well-run Barcy Kids Club is for kids aged 4 to 12 year old and has a good range of activities. But perhaps the best attraction for the younger kids and teenagers is the waterpark and activities around the resort. While the teens have their own separate space with pool, music and games, there are also a host of activities they may enjoy equally well with the adults. Other activities include a football field with sports track, basketball, tennis, snorkeling, kayaks, volleyball, table tennis and scores more. Cancun is an obvious choice for a family vacation to Mexico. There is such a lot of culture and it's family friendly resort options include an outstanding kids clubs. Cancun is also an original home of the all inclusive concept which has had a big effect on family on the way many families vacation. Club Med was one of the first resort chains to set up by the blue waters of Cancun more than three decades ago. The hotel itself has all you would expect of a dedicated Mexico family resort. This includes a baby corner with baby friendly foods right by the main restaurant, baby sitting services, and a baby welcome ceremony for all the new parents. The kids playground is available and open for families to visit together as well as part of organized care. But there are some interesting and notable extra services available. To learn more about the activities of the age specific play groups and clubs see our Cancun All Inclusive Family Resorts Review or get more information and the latest reviews on Club Med Cancun Yucatan here. With many or more of the facilities mentioned above this is another Club Med resorts which really excels with Mexico family all inclusive vacations. More information and special offers on Club Med Ixtapa Pacific. Another great five star Mexico all inclusive family resort with a wave pool, babysitting services, kids club for 4 to 12 year olds, game room and a water park. Of course, these are only a few activities to keep the kids entertained all vacation. Teens are treated to a nightly entertainment program while the adults unwind themselves. 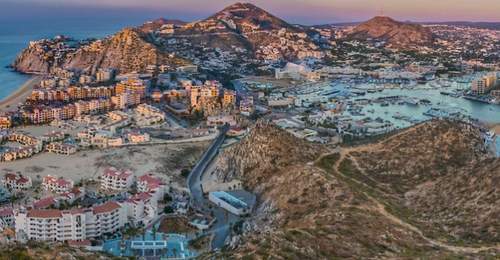 For more family resorts, check out Los Cabos Family Vacation Resorts here. For more information in Mexico, check out the official Mexican tourism site here.